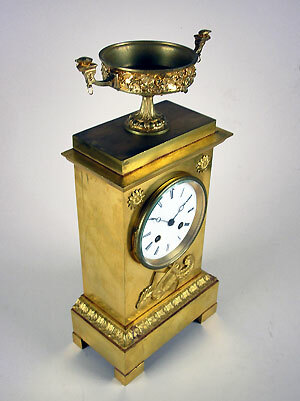 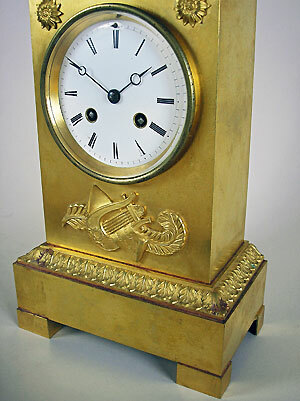 This is a French gilt bronze mantel clock by Duru a Paris in France. 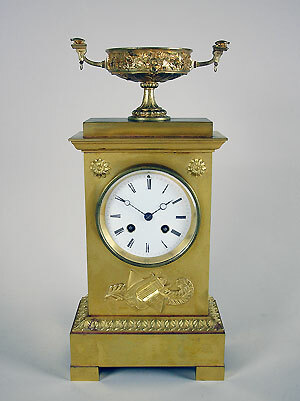 The clock has an enamel dial with Roman numerals and breguet hands. 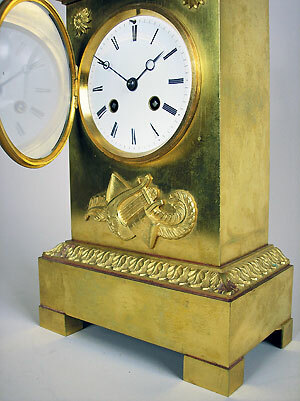 The movement is of an eight-day duration with a counterwheel strike on the bell. The case is decorated with rosettes and musical trophies, and is crested with an ormolu urn.